For the past 6 months I’ve been the only food source for Jack. Everything his little body needs comes from me. It’s been challenging, scary and amazing. Just like I taught Jack how to sleep (I would recommend reading Sleep Sense, it’s amazing), it’s time to teach him a new skill – how to eat solid food. Jack is going to eat so many different types of food in his life; he’s going to travel and try different cuisines, eat out at restaurants, and cook his own meals, and on Friday I’m going to give him the first food he’ll ever eat. So cool. I know you experienced moms out there are rolling your eyes because there are so many “firsts” in a child’s life, and I should calm down, but food and eating are my passions so I don’t take this milestone lightly. I’ve thought a lot about what this first food will be, and I’ve been back and forth between the standard brown rice baby cereal and something more interesting like banana or avocado. Besides teaching him how to eat, starting Jack on solids is also going to provide his body with additional iron & zinc; minerals that start to deplete from my milk over the next few months. Brown rice baby cereal is fortified with these minerals, and is also the least likely to cause an allergic reaction, reasons why it is a popular choice for baby’s first food. 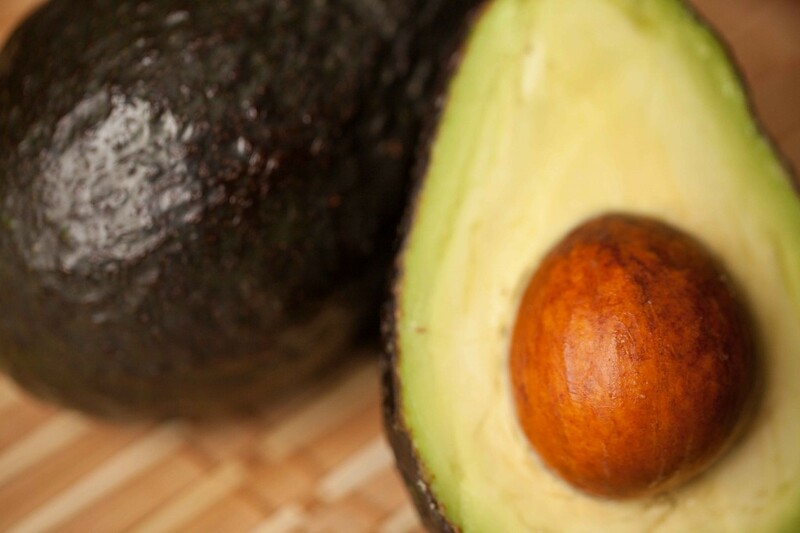 While I consider brown rice a healthy choice (whole grain, gluten-free, a natural source of vitamins & minerals), and will give it to him eventually, I’ve decided his first food will be avocado – a superfood, and one of my personal favorites. Avocado is a source of healthy fats, protein and aids in proper digestion, and is also naturally mushy making it less of a choking hazard. Yesterday I did the allergy test; I put a little bit on his cheek, and nothing happened so we’re good to go. He’s getting his 6-month shots today so I’ve decided to wait until Friday to give him his first bite of real food. After doing some research (Baby Led Weaning, Weston Price, Bringing up Bebe), my plan is to avoid “baby food” and purees and give him real, healthy, whole food as much as possible. I plan to give him fresh, unprocessed, good quality healthy food from every food group (whole grains, dairy, fruit, vegetables, legumes and protein), and to try and give him what we’re eating for the most part (without added salt). This may be easier said than done, but like any new challenge I’m going in with a plan. Wish me luck and stay tuned as I embark on the adventure of feeding Jack solids.